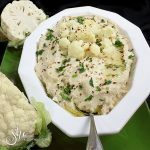 Cauliflower “Baba Ghanoush” is a unique twist on an Eastern-Mediterranean classic eggplant dish that will have your guests swooning. Have you ever met someone whose natural curiosity about a subject matter to be completely contagious? Meet Faye Levy, a James Beard Foundation award-winning cookbook author, teacher and culinary writer who has lived in Israel, France, and is currently living in Los Angeles. 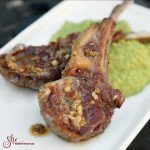 She has written 23 cookbooks in three languages and she also writes for the Jerusalem Post, Bon Appetit, and Los Angeles Times Food Section among other publications. Faye is like a culinary detective, analyzing food from many cultures and putting her creative spin on them. A good example is today’s recipe for Cauliflower “Baba Ghanoush” in which she switches the traditional eggplant for roasted cauliflower. Baba Ghanoush is known for its smoky flavor and creamy texture and Faye’s version doesn’t disappoint. If you meet Faye, you meet her gregarious, camera swinging partner in crime Yakir. Both Faye and Yakir have the most inquisitive minds of any couple I have ever met. They will engage you in any conversation and somehow it will all connect to their love of food. Together they produce fabulous coverage of local food events, recipes and wonderful sunrise photos on their social media pages. 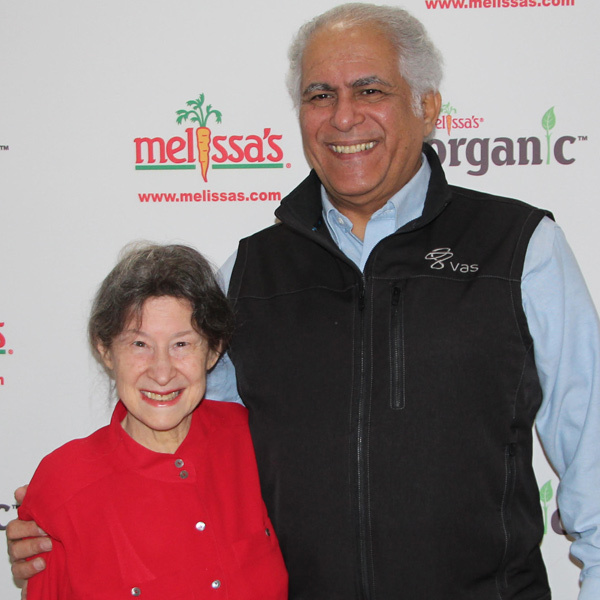 I recently caught up with them at a Melissa’s Produce demo/luncheon where we were treated to a fabulous array of Middle Eastern recipes from her books. 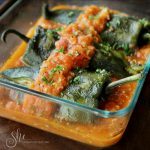 Faye generously offers all of these delicious recipes on her Facebook page. I highly recommend you follow her as she is going to inspire you with her culinary prose. This salad is perfectly spiced with Sumac and tossed with pine nuts and olives in addition to the usual Middle Eastern tomato-cucumber combination. Check out her Israeli Salad in a previous blog post as well. This healthy and delicious dip is a perfect companion with pita bread. 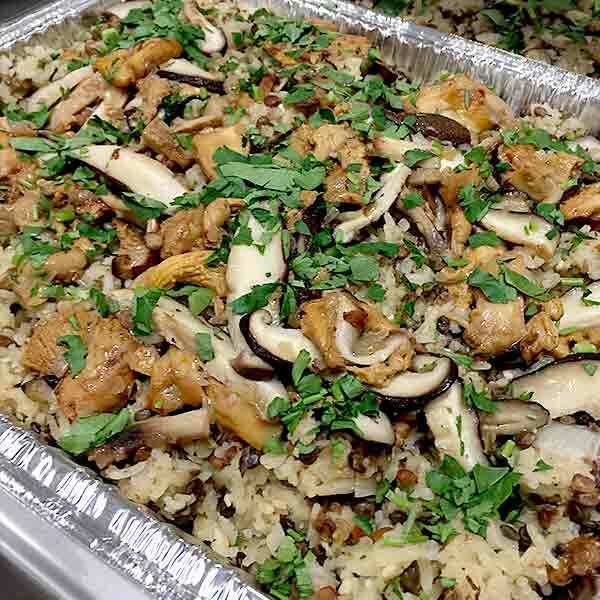 Mushroom Majadra is a perfect Meatless Monday style meal. It is hearty, filling and a family favorite. This company-worthy Chicken with Pomegranates and Walnuts recipe is as unique as it is scrumptious. 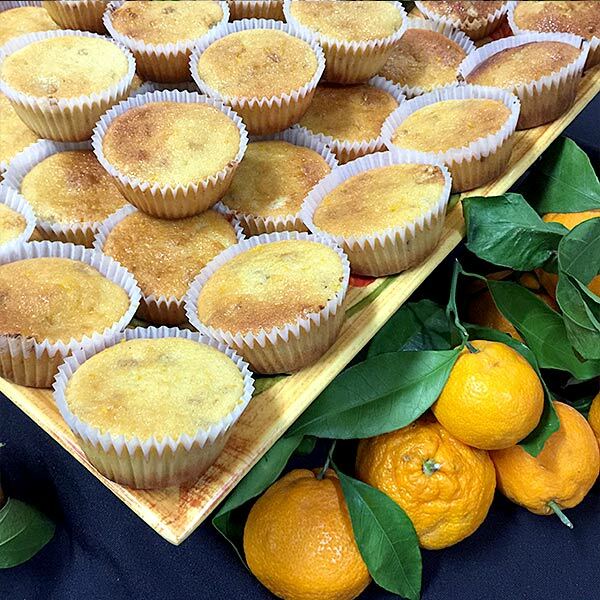 Light and refreshing Citrus Yogurt Cake recipe easily adapts into cupcakes. The famous Eastern-Mediterranean spread known as baba ghanoush is traditionally made with grilled eggplant, tahini, garlic and lemon juice. Faye made it with roasted cauliflower, which goes well with the same flavors. 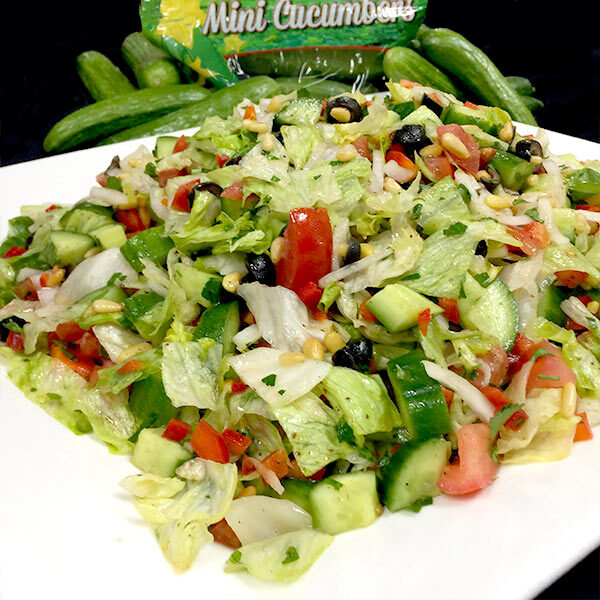 Serve it with fresh pita bread or another flatbread and, if you like, with sliced Persian cucumbers. 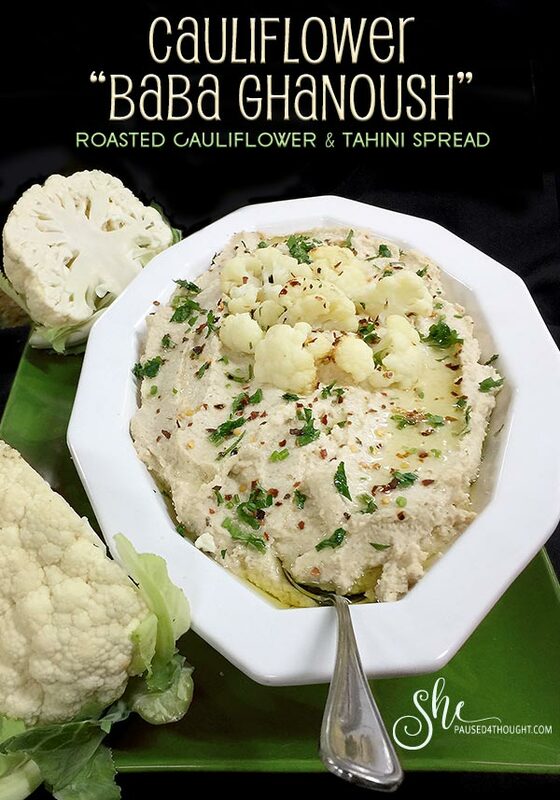 This roasted cauliflower and tahini spread is a unique variation on the traditional eggplant recipe of Baba Ghanoush. Serve it with pita bread and cucumbers. Preheat oven to 375F. Cut off cauliflower ribs and leaves. Turn cauliflower upside down and cut florets off from center stem. (You can use ribs, leaves and stem for soup.) Divide cauliflower in medium florets. You should have about 1 3/4 pounds or about 10 cups florets. Line a roasting pan with foil if desired. Put cauliflower florets in roasting pan. 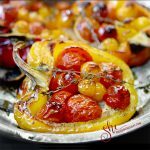 Drizzle with 1 tablespoon olive oil and sprinkle lightly with salt. Roast for 20 minutes. Turn florets over using tongs, drizzle with 2 teaspoons olive oil and sprinkle with salt. Roast until just tender, about 15 more minutes. Remove 4 florets and reserve for garnish. Cover pan (or fold foil over remaining florets to cover them) and roast florets until very tender, about 10 more minutes. Remove cauliflower from pan and cool to room temperature. Meanwhile, make tahini sauce: Spoon tahini paste into a small bowl. Gradually stir in lemon juice and 4 tablespoons water. Add garlic and mix well. Add 1/4 teaspoon salt or to taste. Mixture should have consistency of thick mayonnaise. Transfer cauliflower to a food processor and blend to a puree. Add tahini sauce, 1 tablespoon olive oil and 2 tablespoons water and process mixture until well blended. Add 1 more tablespoon water if necessary so spread will not be dry. Transfer to a bowl. Taste and add more salt, more lemon juice and pepper if desired. Cover and refrigerate for 2 or 3 hours to blend flavors. Break reserved cauliflower florets into smaller pieces and reserve for garnish. 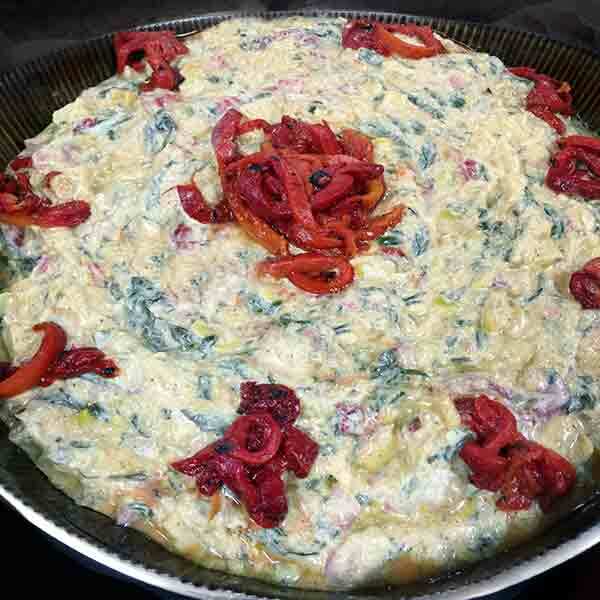 At serving time, spread cauliflower mixture in a thick layer on a serving plate. With the back of a spoon, make a cavity in the center. Garnish with parsley and with reserved small cauliflower florets and drizzle center with olive oil. Sprinkle cauliflower mixture lightly with Aleppo pepper. Serve with fresh pita bread or other flatbread. Faye is a very gifted cookbook writer/teacher/recipe developer. I have learned so much from her. 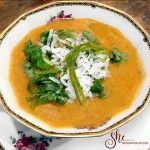 Please check out her cookbooks and follow her on Facebook, Instagram & Twitter as she is always up to something delicious. All of these recipes are a great healthy addition to my repertoire. Hope you add them to yours as well. So good to know about Faye! Lovely baba ganoush. I made an Ottolenghi recipe that was zucchini baba g, and it makes total sense to use cauliflower! What a wonderful idea to use zucchini. Actually, now that I think about it, the possibilities are endless. Thanks for stopping by Chef Mimi! Thank you, Cathy, and thank you Chef Mimi! I’m going to try it with zucchini too! And yes, Cathy, I was thinking it would be fun to try beets – red or yellow, and maybe spinach. Ooooh beets, what a great idea! Wow, that recipe looks so good! I’ll be making that one soon. Are the other recipes on Melissa’s? I was looking for the “Mushroom Majadra.” Another great post! Thanks. Thanks Nan. Faye provided all recipes on her Facebook page. Click on the link (words highlighted in red below the photo of the recipe you want) to go directly to the recipes. Enjoy! Thank you Nanette! And thank you so much, Cathy, for providing a link to the recipes! 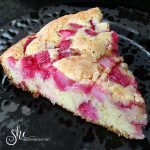 I think you will enjoy this recipe Susan! 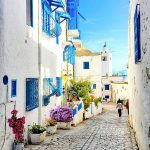 Thank you, Cathy, for this wonderful post and lovely pictures! It warms my heart to read what you wrote about Yakir and me, and I’m so glad you like my recipes! Thanks also for your support for my work! Love your recipes and the both of you. Hi Susan, Thank you so much! When you make it, I’ll be glad to hear how you like it! What a delicious sounding recipe! And yes, it would be fun to mix it up with different veggies. I was sorry to miss this event, and I was so happy to watch the live video. Yay! It was fantastic. 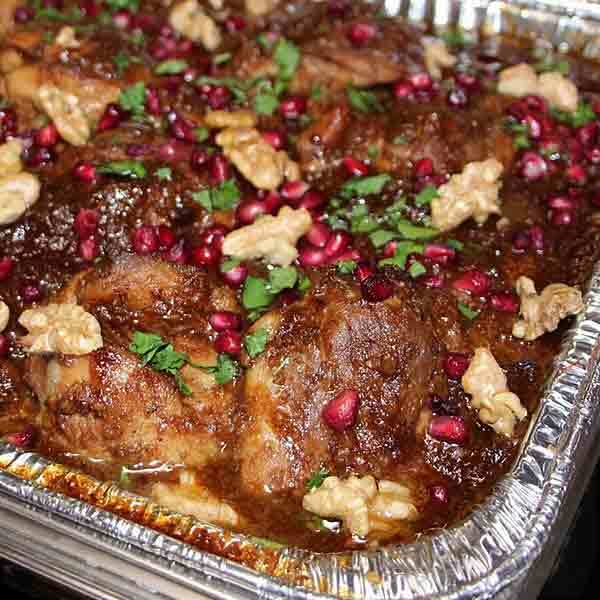 Sorry to have missed this event, but delighted to get the Chicken with Pomegranate and Walnuts recipe, because I adore that dish. This Baba G’noush with cauliflower also sounds like a winner. Thanks for sharing. You were missed Patricia. All of the dishes were fabulous. Such a lovely post, Cathy. You described Faye & Yakir beautifully! I loved this dish too – they were all A+!! I love cauliflower and zucchini!! Sounds great!! Hope you try it, I think you will really enjoy it. This does sound good, thank you so much for sharing it Cathy. I think I might try doing the cauliflower on my grill to give it a smokey flavor. I love the idea of putting cauliflower on the grill. What a great suggestion. Next time I fire up the grill I am going to try it. I love Yakir and Faye and am so sorry I missed this Melissa’s event! The first salad featured here looks fabulous! I’m not crazy about normal baba ganoush, but I think this version sounds wonderful! Thanks for the write up, Cathy! I feel like I was there! So many delicious treats in one post! I have always been a fan of cauliflowers. They are simply delicious, either in soup, salad, roasted or stirfried. Love the idea of using them in a dip. So creamy, healthy, packed full of flavours and Delicious! Thanks Angie! It really was a delightful treat and Faye’s recipes never disappoint.